a Japanese company established in June 2010. 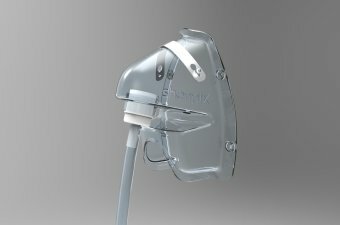 We are producing unique medical equipments, and we have developed two unique, first-in-the-world products. Surplus carbon dioxide is not desirable for our health and the earth. But people with an oxygen mask and oxygen concentrator are taking in carbon dioxide beyond the worldwide standard. The nose (air intake) and mouth (exhaled breath=38,000 ppm carbon dioxide) are divided in the CO2 Free Mask; the lower part of the mask opens and excretes the exhaled breath outside. Therefore, the oxygen density in the mask increases. When using the CO2 Free Mask, we don't take in the high-density carbon dioxide that is in exhaled breath. Its design has been registered in The United States ,28 countries in the EU ,Taiwan ,Kore ,China and Japan. The CO2 Free mask is for personal use. 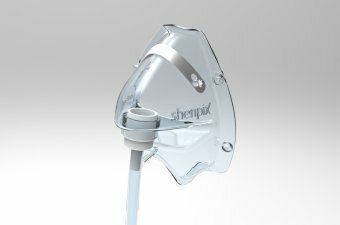 A disposable medical oxygen mask with the same principle will be launched in August 2016. Carbon dioxide in the atmosphere is usually 400～500ppm. The upper limit for carbon dioxide as a worldwide environmental standard in buildings is 1,000ppm. The carbon dioxide that is in human exhale breath is about 38,000ppm. It is so higher level than 400ppm in the normal atmosphere. Carbon dioxide in the usual type of oxygen mask is 2,000～3,000ppm when putting high density oxygen in the mask at four liters per minute while breathing and we are taking in it with oxygen. All oxygen concentrators worldwide concentrate carbon dioxide as well as oxygen at 4～4.7 times the normal level. Unpleasantness can be felt at more than 1,000ppm. Sleepiness can result at 2,000ppm. Headaches or dizziness can be felt at 3,000ppm. These truths clearly mean that it is not good to take in surplus carbon dioxide. 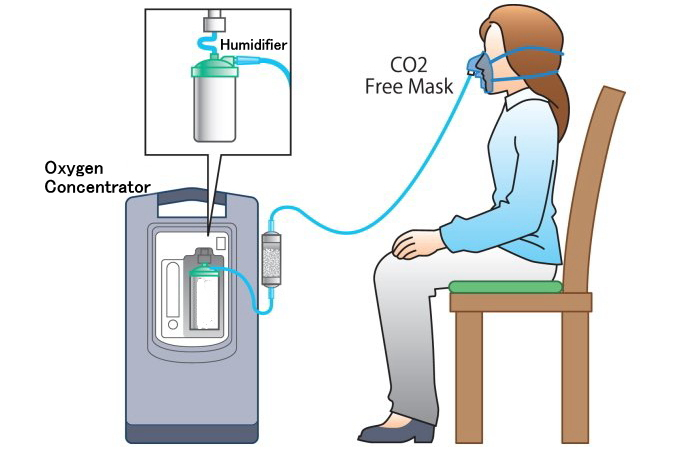 Differences between the CO2 Free Mask and conventional oxygen mask. 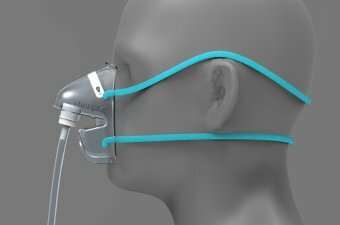 Conventional oxygen masks cover the nose, which takes oxygen in, and the mouth, which excretes exhaled breath containing 38,000 ppm carbon dioxide; high-density carbon dioxide is stopped in our mask. When oxygen is put in our mask, the carbon dioxide density becomes weak. In a conventional oxygen mask, carbon dioxide with 2,000～3,000 ppm still remains, and the undesirable high-density carbon dioxide is still being taken in. When using the CO2 Free Mask, please breathe in by the nose and breathe out by the mouth as much as possible. This is a healthy breathing method too. As the lower part of the mask opens, there is no inconvenience in conversation. 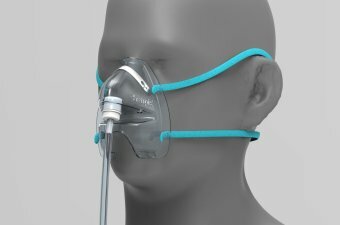 We recommend using the CO2 Free Mask for people who use a cannula. If breathing in and out by the nose, carbon dioxide will be taken in as much as a conventional oxygen mask. The person who can only breathe through the mouth can’t use this mask. take in and enjoy the high-concentrated oxygen effectively and comfortably, please.